The new feature brings together categorized playlists that are searchable by mood, occasion or new releases. 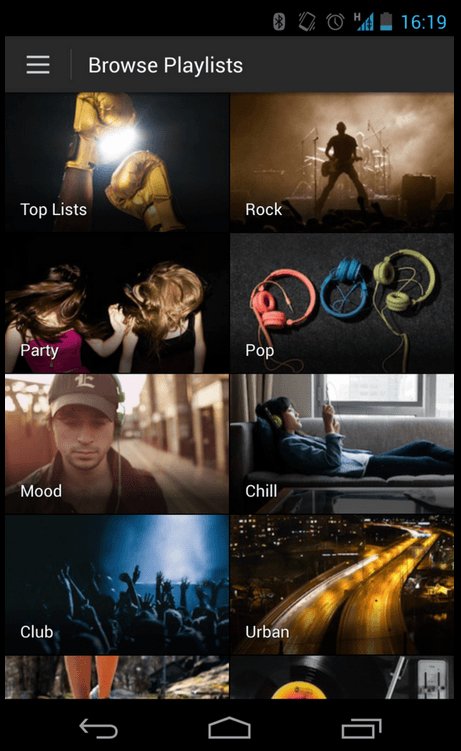 The playlists are created by users and curated by Spotify music experts. The service's users have created over one billion playlists and now the company is tapping into that wealth of content with a focused data base of various recommended lists. Categories include everything from 'work out' music, 'dinner' music, or 'getting ready to go out' playlists. They also include playlists based on mood and other criteria like romance and "face melting guitarists." Spotify notes that the 'Browse' function adds a "human touch" to its in-house recommendations. The idea that the massive number of user generated playlists are being intelligently curated along with personal recommendations and those from Spotify's music experts, is something the company calls a "three-dimensional approach to music discovery." "We don't rely on one source for recommendations in real life - and music discovery can't be onedimensional," said Gustav Söderström, Spotify's Chief Product Officer. "Our three-dimensional approach now combines the human touch with strong social features and unique technology from over five years of experience. We know music and we're the first to marry all three aspects in one service, making it easier than ever for users to navigate the treasure trove of content within Spotify." 'Browse' is right in-line with Spotify's aim to make the service a more social experience, and follows the introduction of the new Discover feature that aids users in finding new music they have never heard of before. The 'Browse' function is currently being rolled out on iOS and Android but will likely take as much as a couple weeks to do so completely. Spotify says the feature will "soon be available" on all platforms.